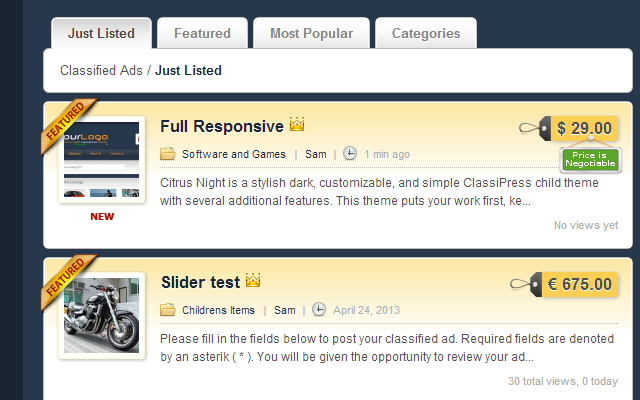 Citrus Night is a stylish dark, customizable, and simple ClassiPress child theme with several additional features. This theme puts your work first, keeping the design elements to a minimum while still maintaining a definitive modern style. Citrus Night is full responsive, ready to use all available language translation packs and testet with all available plugins that are recommended by AppThemes. You may need to set your menus again. 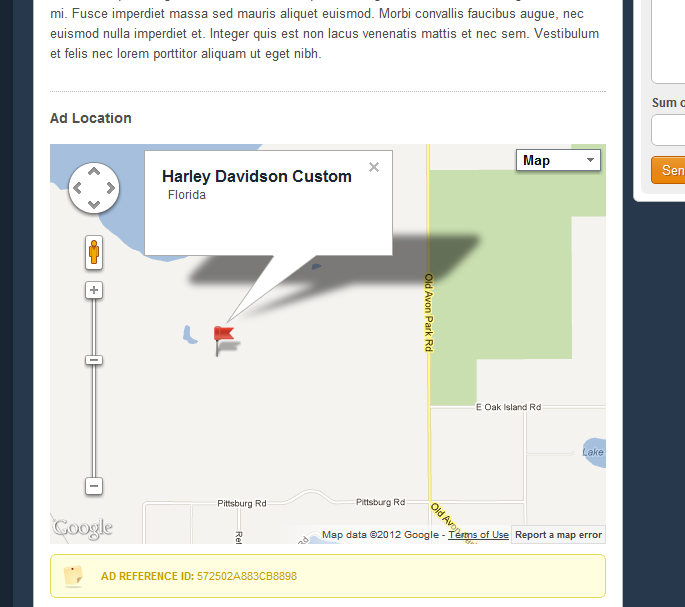 Go to your Admin dashboard => Appearance => Menus and activate your Header and footer menu. You may need to regenerate your thumbnails after first installation: Please install this plugin: http://wordpress.org/extend/plugins/regenerate-thumbnails/ and run it once. just bought it and installed it in under 5 mins! it works like a charm 🙂 thnx for your great work and support! Also, your theme is awesome and clear. Citrus Night Child Theme is highly recommended. also your help in the forum is great. your work is truly exemplary. When the next updates are comming for this child theme? 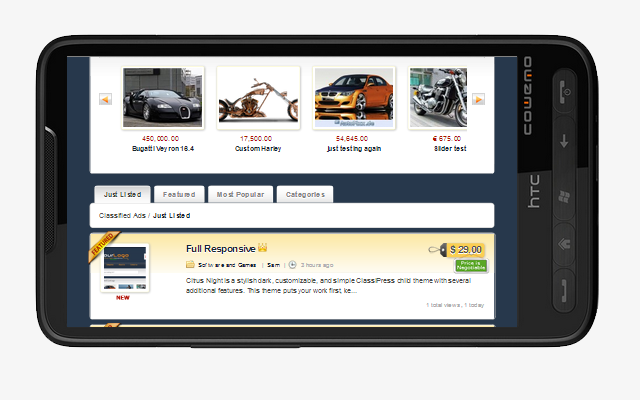 I have been using Citrus Night now for the last couple of months and find it excellent as it contains all the features needed to carry out an online classifieds website. With the now new version 3.0, it will further enhance your experience and i would highly recommend this child theme. What happened, i am using the citrus night child team which is okay but the problem there is i can not post ads, the button is not working when i click on it, it won’t bring the listing process. I have the version of Citrus, how do I upgrade? Thank you Samcy for the great child theme. Easy instructions to follow and really love the new look. Let me know what you think. Sorry the link didn’t show up….here it is. I bought this theme. 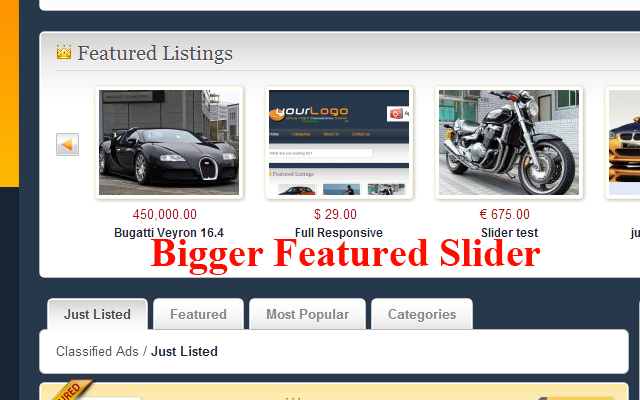 For me does’t work on home page Featuring Listing and no pictures on Ad Listing. How to fix it? The new file is available in the Marketplace since 2 days, so i think that you are using the older version 2.1. Please check. Hi, I am interested on purchasing a child theme but I am not really sure wish one to choose, I am between citrus or multiport, Can you explain me the diferences? I want to put a custom background and if its possible changing the skin color, The multiport and citrus childtheme are compatible with the marketplace plugins? I ask this because I want to purchase Banners Galore ClassiPress, ClassiPress Ad Scroller, Smooth Approve and Grid plugins. i sent you email with my details, i couldn’t post on citrus thread , it seems colsed. Thanks samcy, looks good so far. What can i say theme is flawless one of the best color coordinated themes i have seen so far. is possible to change the background color of the citrus theme night? that orange bar can be changed color? I bought It right now and set up, but It doesn’t work. 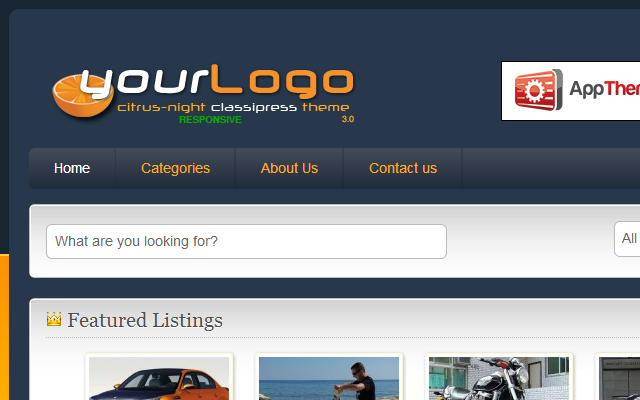 My classipress version is 3.1.8 (wordpress 3.9.1). I dissabled coresteelshet to yes. Maybe It doesn’t work because my classipress version is not 3.3? How do can I upgrade my classipres version? Does not work well with ClassiPress 3.5 version. It also does not support it. 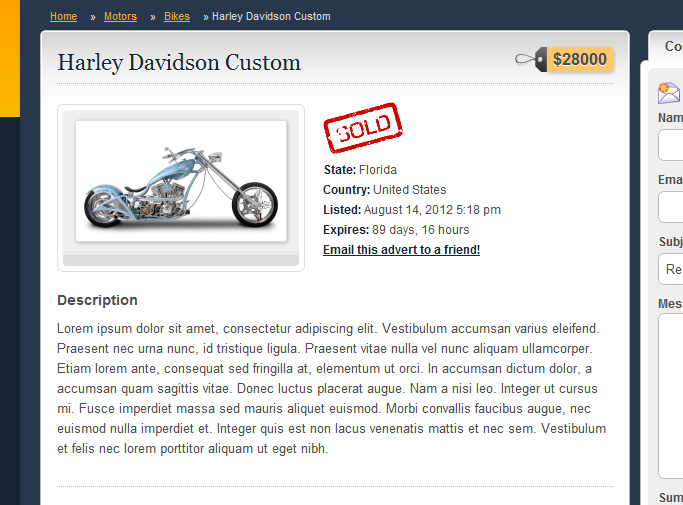 A fast, customizable, & responsive ClassiPress child theme.